Trailers are considered by many lenders to be better security for a loan than a motor car. Why? I think due to the fact they don’t have engines and their working life can be measured in decades if properly maintained. 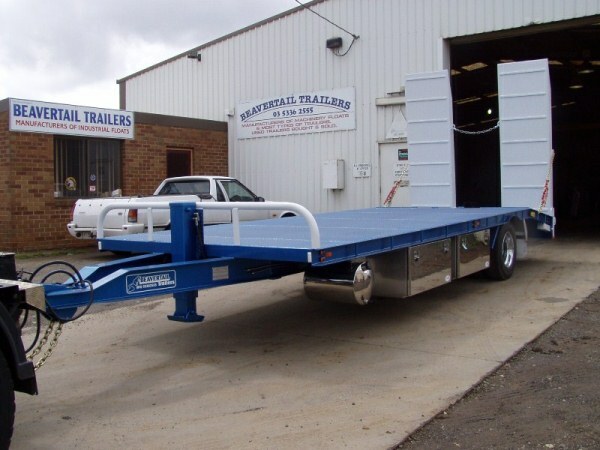 Our very own Andrew Somerton is also a plant trailer manufacturer and owns and operates Beavertail Trailers (Aust) Pty Ltd, one of Australia’s leading plant and tag trailer manufacturers. He has financed transport trailers and trucks for over 30 years and has the knowledge and expertise to help you finance your next trailer or truck purchase with a lender that understands the security involved and the industry you are in. With very competitive rates and the best service available in the broking market, let us work with you to fund your business growth.